Fertile, MN (January 23, 2017) - For the second weekend this season, Christian Brothers Racing cross-country and snocross riders faced huge, but very different challenges. 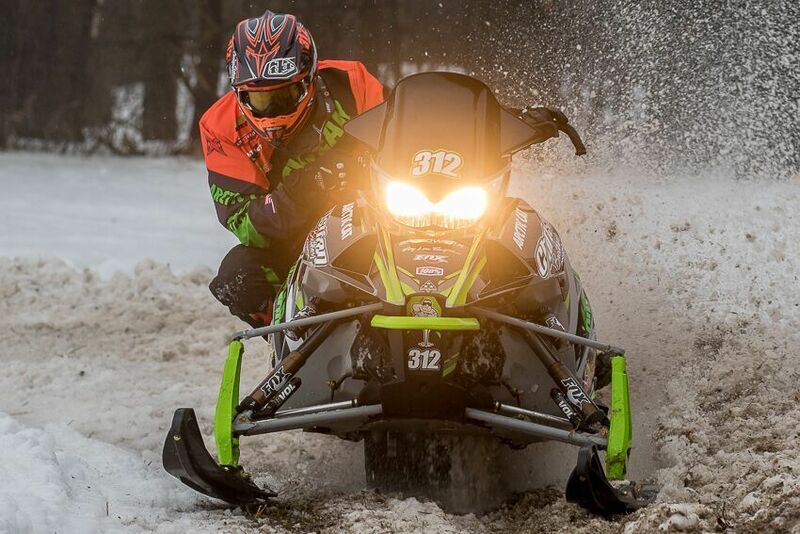 Cross-country riders Ryan Trout (Country Cat/Royal Distributing/Arctic Cat) and Zach Herfindahl (AMG Peterbilt/doc/Arctic Cat) traveled to Park Rapids, Minnesota, to compete in the Park Rapids 106. Warm temperatures in the area have decimated the snowpack, leaving behind mud and fog. Not ideal for cross country racing, but obstacles that had to be overcome. Heavy snowfalls in the area earlier in the season meant that, even with the warm temperatures, conditions allowed race organizers to lay out a 100-plus mile loop course. 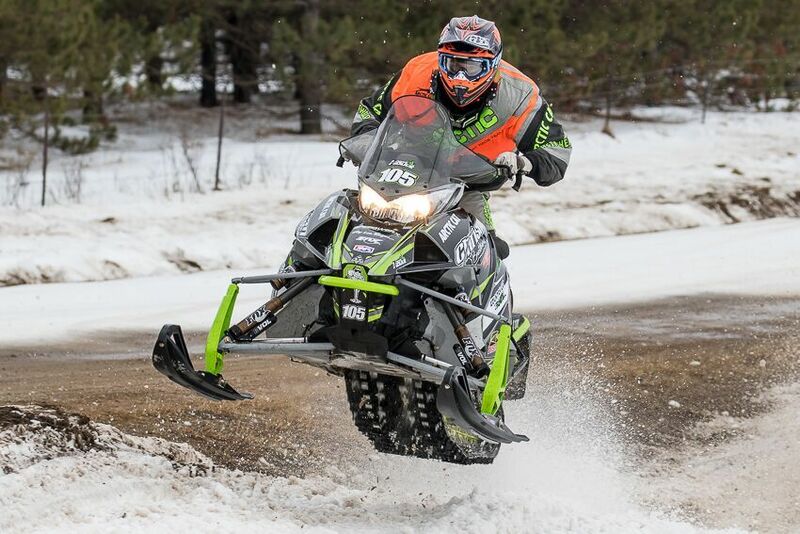 Park Rapids marked the first event of the season where riders were taken off the ice and onto terrain, making for a more traditional cross-country racing format. Herfindahl remained perfect in the premier Pro 600 class, winning by a dominant 2-minutes and 21-seconds. Herfindahl also finished 3rd in the Pro Open class. ?The team had another great weekend,? said Herfindahl. ?We worked through some setup issues Saturday and we were dialed in for Sunday. I ran a good race and I was pretty happy to the get the win in Pro Stock.? Trout was perfect on the weekend, winning Semi-Pro 600 and the I-500 class. Semi-Pro 600 is one of the most competitive classes on the circuit and Trout made a statement, winning the class by more than 5-minutes. ?This weekend was awesome!? said Trout. ?Saturday the course was really rough and super fun for me. I was able to put a lot of time on the field and went into Sunday with a big lead in both my classes. Sunday I just rode smart and it paid off with two wins.? 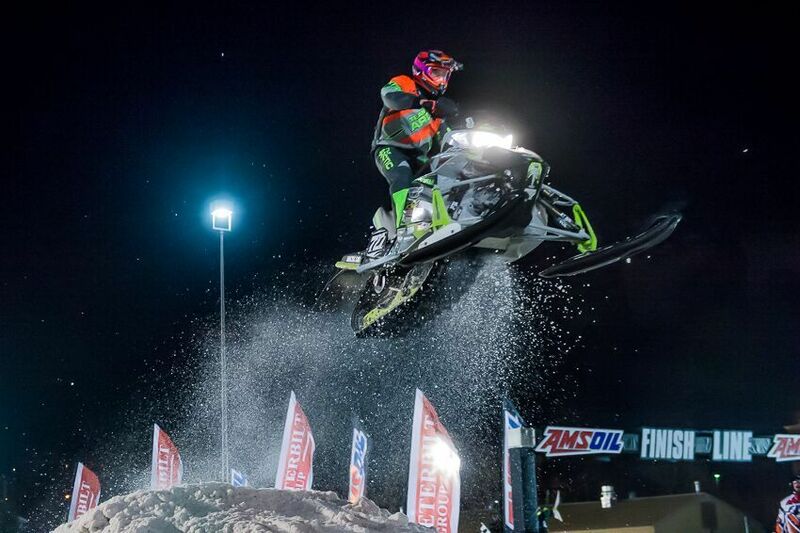 Farther west, Logan Christian (doc/AMG Pertrbilt/Arctic Cat) and Jacob Yurk (Country Cat/Royal Distributing/Arctic Cat) were lined up ready to compete at the U.S. Air Force Snocross National in Deadwood, South Dakota. The team was challenged not only by spring-like temperatures, but also by a small, bullring-style track set completely within the rodeo grounds in downtown Deadwood. Starts were key and the tight, rough track made passing difficult. Coming off a 2nd place finish at the last event two weeks ago, Christian was looking to keep momentum going. But just when things were going well, the rug got pulled out from under his weekend. ?It was all start in Deadwood,? said Christian. ?But we had the Arctic Cat dialed in and things were going great Friday, I was running 3rd in the final before some rear suspension issues slowed me down. Then Saturday we worked hard to fix the issues and again the final was going well before I came off the sled. I made up a few spots but on a small track like that the race is over so fast it?s nearly impossible to come back. The team worked hard, we have the pieces in place and we?re looking forward to the next race.? After the last event we left off with Yurk waiting for the results of an MRI on his knee. Well, those results came back with flying stars, and, with his knee back to 100-percent, Yurk was ready for Deadwood. However, like Christian, the track was not kind to him. ?Our results don?t show it but we made a lot of progress this weekend,? Yurk said. ?Friday went great, but then my goggles fogged up in the final and I threw them away, but it made it difficult to stay focused on the track. We came back Saturday and our Arctic Cat had a ton of speed, but I got landed on in the final I worked back to 7th but on that track it was hard to make time.? 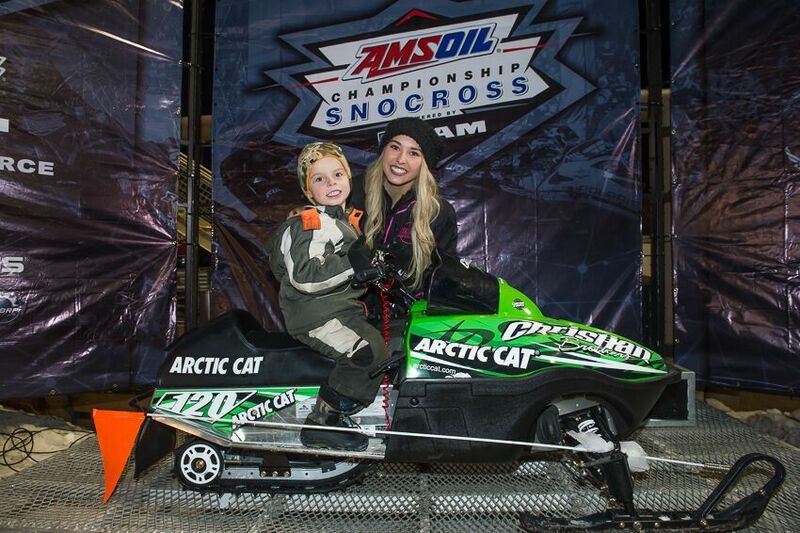 Four-year-old Gibson Brink from Waterville, Iowa, was the winner in the Christian Brothers Racing ZR120 snowmobile giveaway. 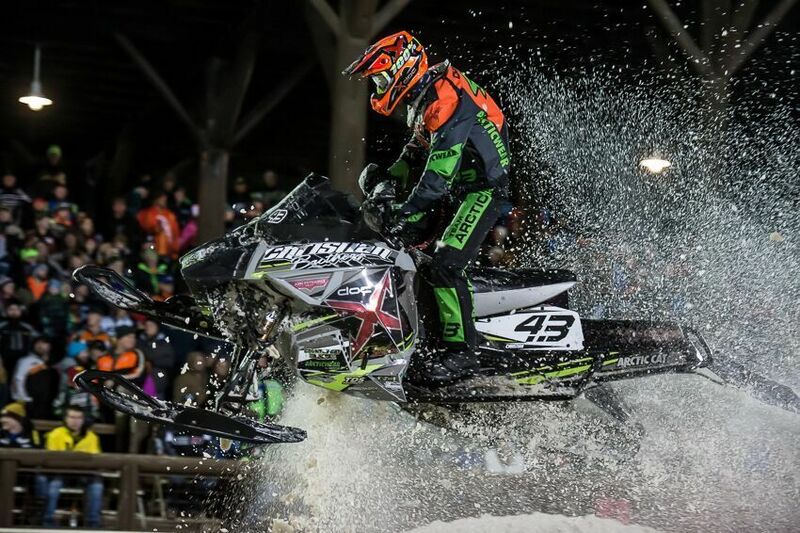 Next up for Christian Brothers Racing cross-country is the Seven Clans TRF 250, January 28-29, in Thief River Falls, Minnesota. Next up for Christian Brothers Racing snocross is the U.S. Air Force Snocross National, February 3-4, in Salamanca, New York.